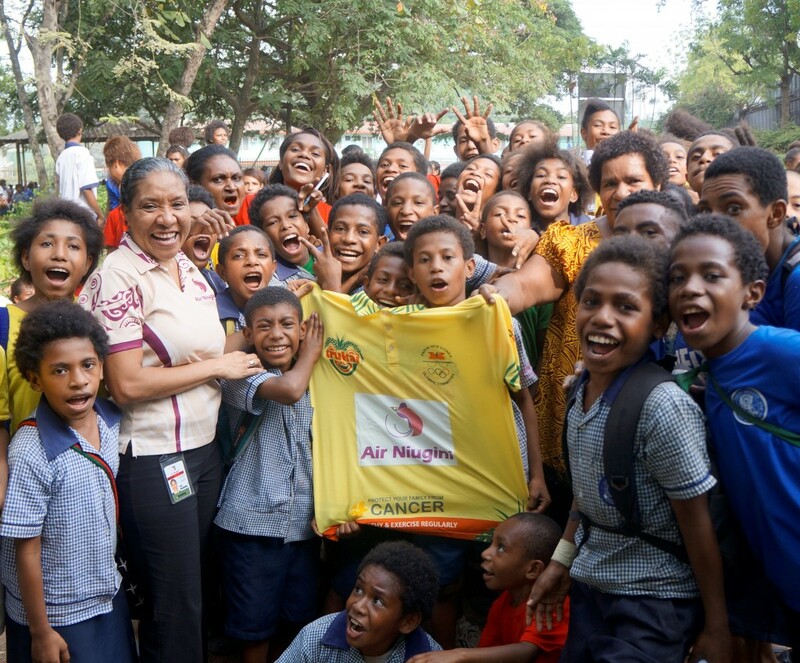 Air Niugini presented shirts to several schools in Port Moresby today for the annual Trukai Fun run on Sunday 26th June. 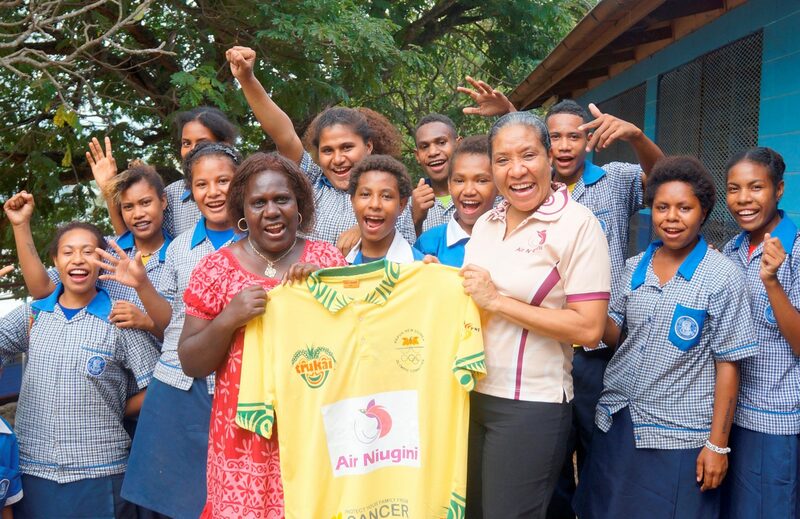 ANG Marketing Manager, Ms Nori Maniana presented the shirts to students at Holy Rosary Primary School at six mile and St Peter’s Primary School at Erima. Fun Run is the largest ‘sport for all’ event in the Pacific that has reached masses of people around PNG since it first started 16 years ago. It is considered as PNG Olympic Committee’s biggest fundraiser event that assists the organization to send Team PNG to international sports events like the Pacific Games, Pacific Mini Games, Commonwealth Games and the Olympic Games.